Home » Magazine » Society » Who Will Save The Children? Mihir Srivastava	October 27, 2014 00:00 IST Who Will Save The Children? He didn’t belong to an organisation, he left no property behind and no will. Who should get the prize money? On October 10, a foreign correspondent called late in the afternoon to ask, “Do you know Kailash Satyarthi? Who is he? He’s the Indian who’s won this year’s Nobel Peace prize.” The news took a while to sink in. The sentiments of Sumedha, Satyarthi’s wife, were clearly shared by many. “It was the biggest surprise of my life,” she had said when informed of the prize given jointly to her husband and Pak­is­tan’s Malala Yousafzai (17) for “showing great personal courage” and for their struggle against the suppression of children and young people and for the right of all children to education. But the question many people seemed to be asking was: how did this happen? That these awards have always been marred by controversies is a given. Indeed, the ‘will’ of Alfred Nobel creating the endowment held that the peace award should go “to the person who shall have done the most or the best work for fraternity between nations, for the abolition or reduction of standing armies and for the holding and promotion of peace congresses”. There are stringent conditions laid out for an individual or an organisation to submit nominations for the peace prize. The flavour of this season, it seems, was child rights in the Indian subcontinent and thus it made perfect sense for the prize to go to a Muslim girl in Pakistan and a Hindu activist in India. “A fine balancing act,” exclaimed an activist, who has secured nomination many times in the same category but with little success. Could it be jealousy then that provoked doubting Thomases who snidely asked if this was more of a dubious distinction or a genuine honour to an Indian. How much pride can one feel at an award that illuminates how badly we treat our children? Also, child labour in India is far from being a thing of the past. Satyarthi, founder of the NGO Bachpan Bachao Andolan (BBA), claims to have rescued 83,525 children since 1980. 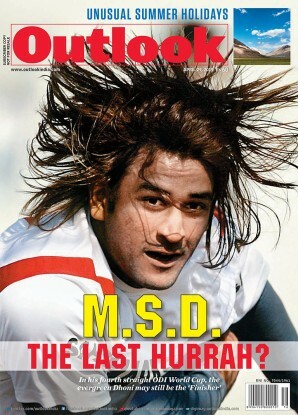 “This is an honour for me and my fellow Indians and all those children whose voices were never heard before,” he says. In his one-room office in the backyard of 7 Jantar Mantar Road, Delhi, Swami Agnivesh is seated at one end of a huge table. He talks about his old comrade, his prodigy, the Nobel laureate Saty­arthi. “Kailashji” Agnivesh recalls, “assisted me from 1981 to 1994” before they parted ways. Agnivesh remembers him as a hard working and committed activist, and Satyarthi soon became the general secretary of the Bandhua Mukti Morcha (BMM), headed by Agnivesh, which was committed to ending bonded labour in India. Now Agnivesh follows a political ide­o­logy of his own creation: Vedic socialism. He even registered a political party by the name Arya Sabha way back in 1968. There was a lot of resentment with his reformist zeal and alternative views amongst the older ideologues of the Arya Samaj. In the early 1980s, Satyarthi was fired by his own father-in-law, Bharatendra Nath, who used to edit a journal called Arya Sandesh, published from Hanuman Road in Delhi because the former, a staff writer, wrote an article in support of Agnivesh’s ideals of Vedic Socialism. The flavour of the season was child rights in the Indian subcontinent so why not the prize for Malala and Satyarthi? “I used to pay him whatever little I could, do-char hazaar,” remembers Agnivesh. Satyarthi assisted him in editing a journal called Sangharsh Jari Rahega (The Stru­ggle will Continue), apart from other public activities. The prime focus of BMM was to fight against bonded labour and not child rights for the whole of ’80s. “The BBA was not even conceived at that time,” says Agn­ivesh who claims that Satyarthi is lying when he says he’s been working on child labour-related issues since 1980. In fact, the first time BMM dealt with the issue of child labour was by accident. At the 1983 Rashtriya Chaupal or national convention organised against bonded labour in a Dalit hamlet in Palamau district of Bihar (attended by stalwarts like Mahasweta Devi), a trade union leader produced 32 Dalit child­ren rescued from a carpet factory in Mirz­a­pur district, UP. They had white patches on their body, they had been brutally tortured and were hardly fed while being forced to work for 20 hours a day; their nimble fingers did the intricate weaving that fetched the carpets a fortune in the international market. The BMM took the matter to the Supr­e­me Court in one of the earliest public int­e­r­est litigations (PILs) filed before the court. The apex court appointed a com­m­issioner, Prem Bhai, a Gandhian, to investigate the matter. In his report, Prem Bhai pointed out that over 72,000 children were being exploited and lived in sub-human conditions in the carpet belt that included the districts of Vara­nasi, Bhadoi and Mirzapur. “Four more children who were missing were found dead...this is of course besides the 32 who were rescued,” remembers Agnivesh. Later, Agnivesh travelled to attend various conferences at the UN on child rights to create awareness about this issue. “Kailash went to attend a UN conference for the first time in 1987 as a representative of BMM. The BBA had still not been conceived,” he clarifies. “By 1992, it was clear he was harbouring personal ambitions,” says Agnivesh. During this time, Satyarthi was invited to the US and Germany many times. He went to the US on the personal invitat­ion of Senator Tom Harkin in 1994. “When I would travel to the US, I would only get to see the assistant of the assistant of a senator, but Satyarthi had the invitation from the senator himself,” recalls Agnivesh with a sardo­nic smile. Satayarthi also became close to University of Iowa law professor and writer/activist Lea VanderVelde. This was the time when harsh conditions under GATT were being imposed on the developing world, heralding the advent of the WTO era. 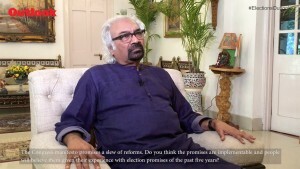 India had recen­tly liberalised its economy under the leadership of P.V. Narasimha Rao. The West was looking for ways and means to impose restrictions on exports from the developing countries, using social and environmental clauses. Child labour was one such issue. Satyarthi was playing their tune, alleges Agnivesh, by helping creating unnecessary grounds in the name of child labour, and taking a radical, pro-social cause stand to justify the trade restrictions. “He started activism based on the agenda of the West. It was against the economic interests of India. I was shocked,” says Agnivesh. They soon parted ways. The discreet office of Bachpan Bachao Andolan, in a crowded market in middle-class Kalkaji in Delhi, is buzzing with activity. There are no children though. The notice board that extends the whole wall is full of news clippings, from English and Hindi publications, celebrating Satyarthi and India’s first Nobel Peace Prize. A board hanging just above the reception counter states the exact number of children rescued by the BBA since 1980: 83,525. The BBA has of late become a family retainership. Satyarthi’s son Bhawan is a lawyer and is actively involved in its aff­a­irs and so are other family members. They live in the same building as the off­ice. For more details, she refers to the BBA chairperson, R.S. Chaurasia (‘com­rade’ to others in the office). He is in his 70s and has been heading the BBA for the last seven years, though Satyarthi is the mentor and undisputed leader. He mentions the same BMM national convention, where 32 children rescued from a carpet factory were produced, as the tur­n­ing point. 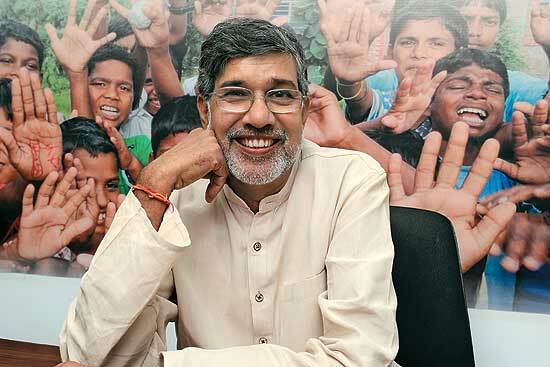 How­ever, the main prot­a­gonist in his version of the story is Satyarthi. The government was reluctant to act against child labour because the carpet manufacturers were a strong lobby and earned foreign exchange worth Rs 2,000 crore every year in those days, explains Chaurasia. It was, therefore, important to sensitise the consumer about the exp­loitative ways in which the carpet industry operated in India. And since most of the consumers were in the West, the issue had to be internationalised. Satyarthi took the onus on himself to do this. He did a “vishwa yatra” (world tour) in 1998, travelling to 103 nations in six months starting from the Philippines. “We were welcomed all over the world, people vowed to support us against the child abuse in India,” remembers Chau­rasia. Satyarthi was quickly acquiring cult status in the West. According to Chaurasia, one of the first aid givers was a church in Germany. “They were committed, they didn’t want to do just lip service,” he says. A campaign had started in the West to stop using carpets made by child labour. There was still no reliable certifying sys­tem, but at least it was a good beginning. Chaurasia confirms that the BBA is not a government-aided NGO and that most of the support comes from foreign sou­r­ces. He didn’t mention any specific one, but elaborated on the funding model. The BBA gets support from various corpuses generated in the West to support social causes in developing countries, focusing on deprived peoples and sustainable means of livelihood. Chaurasia explained how the BBA est­ablished schools for rescued child­ren under the National Child Labour Project with the help of the Interna­ti­o­nal Lab­our Organisation. It has also worked tirelessly at the ground level and for advocacy. Bal Ashram in Rajasthan was established in 1998, nestled in the picturesque Aravalli Hills, and serves as a long-term rehabilitation and training centre for the victims of child labour. Satyarthi called on PM Narendra Modi the day after the Nobel was announced. He was congratulated and given a tight hug by Modi. Satyarthi on his part expressed his keenness to contribute to the PM’s pet projects, ‘Swachh Bharat’ and ‘Saansad Adarsh Gram Yojana’. Modi shared with Satyarthi his views on the use of social media and the internet for tracking missing children, according to the official statement issued later. The BBA first filed a Nobel nomination for Satyarthi before the committee in 2005, “the year Muhammad Yunus of Bangladesh won the award”, informs Chaurasia. They claim Satyarthi was a leading contender that year as well. Sumedha also confirms that US senator Tom Harkin supported the nomination along with Lea Vander­Velde. “Satyarthi’s tireless work to free children from the worst forms of child labour and provide them an education makes him a truly deserving winner of the Nobel peace prize,” says Harkin. On our way out, a close aide of Saty­arthi who doesn’t wished to be named, calls out, “Satyarthi is now the second most popular person among those who have received the Peace Prize, next only to Martin Luther King. You can check this fact on the website of the Nobel Prizes.” Well, probably he is.